Crazy yarn The softness of Shepherds Wool but crazy with color. No two alike! NEW! Transitions Yarn from Trendsetter. 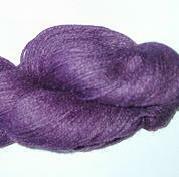 A beautiful gradient in a cotton blend.